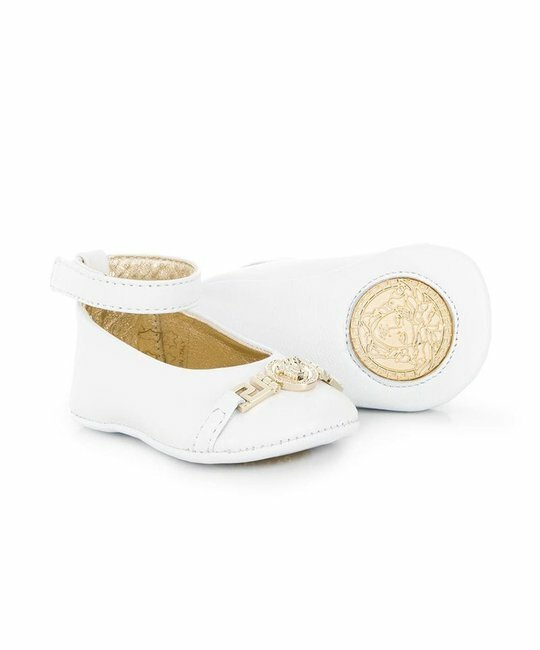 Young Versace soft leather white ballet flats with gold medusa detailing at toe and sole medusa print. 100% Leather. Made in Italy.